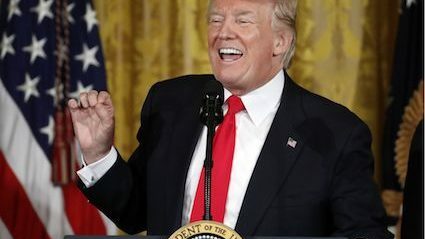 DONALD Trump has impressed the international community by managing to make threatening a pre-emptive nuclear strike seem comparatively reasonable. By declining to criticise a group of Nazis for murdering a woman in cold blood for disagreeing with them, Trump knocked imminent Armageddon off the top spot and into a second place where it competes with his suggestion he might invade Venezuela. Political analyst Julian cook said: “For most people, the realistic threat of nuclear immolation for a large part of humanity would be a bit of a showstopper. But you know Donald, he always got to go one better. JEREMY Hunt has paid £44,000 for a shower room in his office after employing the same plumber who installed the NHS computer system. 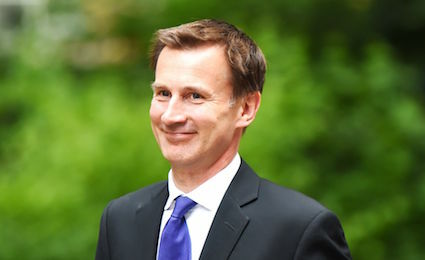 The health secretary hired Wayne Hayes, from Peterborough, after Hayes charged the NHS £2.3bn for a computer system that does not work and is never going to. Hayes said: “I am a very bad plumber and an even worse IT consultant. But I always say to people ‘what’s the difference between installing a toilet and installing an IT system?’. “And then they explain it to me. “Anyway, I was not remotely surprised when Jeremy asked me to install a bad shower room in his office for no less than forty grand.